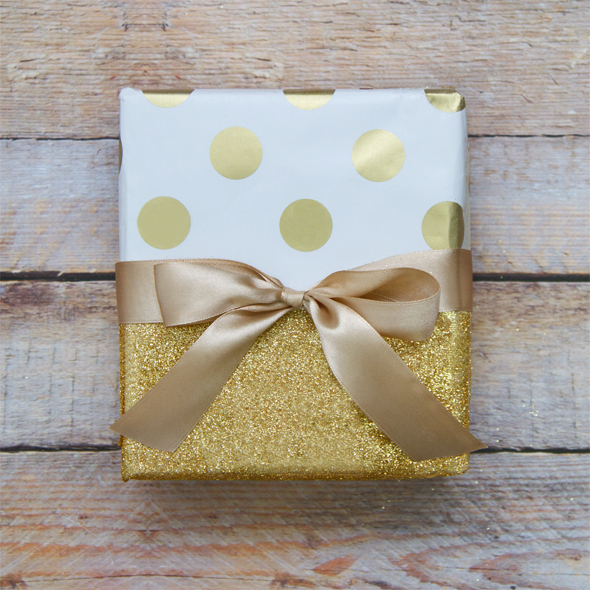 You may not want to judge a book by its cover, but when it comes to gift-wrapping DIY, first impressions do count. 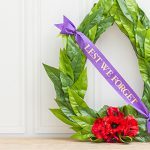 With a few embellishments you can turn even simple gift wrapping paper rolls and satin ribbon into a present dressed to impress. 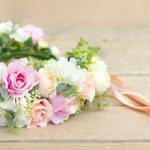 The little details, like the addition of a mini flower garland or splash of glitter, will show you’ve gone the extra mile. Here are two cute and useful gift wrapping paper DIY’s you can put together in just a few minutes or use as inspiration for more gift wrap ideas. Tone on tone is so sophisticated, and this gold wrapping combination is perfect for Mothers Day. After covering your present with gift wrapping paper, measure out a section to apply glue to. You might choose half, as we’ve done here, or mark out a stripe in any section of the package. We’ve used one sold block of gold glitter here to compliment the polka dot wrapping paper, but for different colourways it would be fun to go a little crazy and mix up glitter in your favourite shades. Once you’ve applied your glue generously, sprinkle plenty of glitter on the area and really press it down and cover every inch. Give it a gentle shake and make sure there are no bald patches that need extra attention. Now is the time to be patient, because you want to make sure it’s really dry before moving it. Now add a length of satin or organza ribbon over the join, to create a perfect finish. Done! DIY crafters please note: it’s inevitable that someone is going to ask you why you have glitter on your clothes, hands, face etc… perhaps even days, after finishing this project. It’s worth it though! Picking the perfect present is just part of the celebration. If you really want to bowl people over, you don’t want to overlook the art of arrangement. 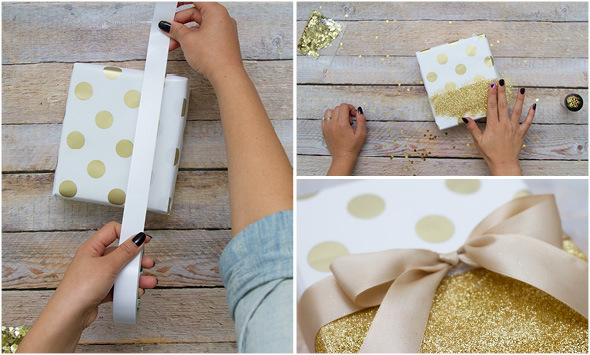 This gift wrapping DIY couldn’t be easier, or prettier. This one really is simple, and all about the textures and extras! We’ve picked a patterned paper wrap in soft green with a lace trim look and added a single piece of natural ribbon – jute, hessian or herringbone twill all work well here. It’s the play of textures that really makes this combination both pretty and modern. A floral tie-on is perfect for nature lovers, and we’ve chosen an artificial rose in soft pink. 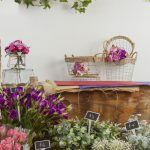 Adding real flowers or greenery is just as easy if you have those to hand and has the bonus of fragrance. 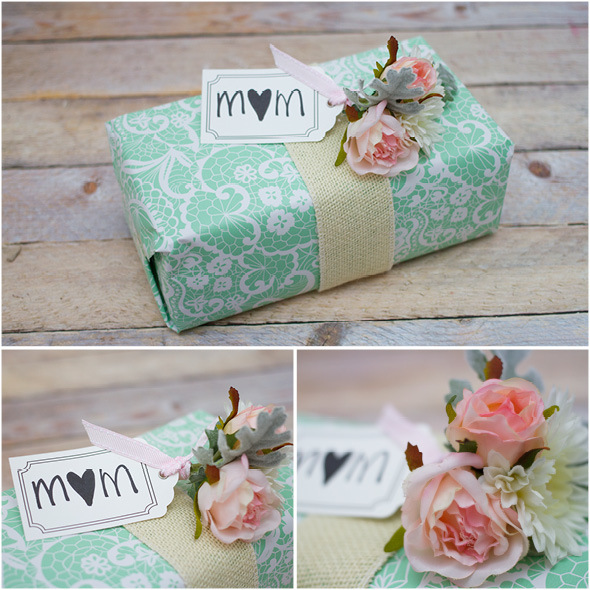 The final touch, a simple gift wrap tag. 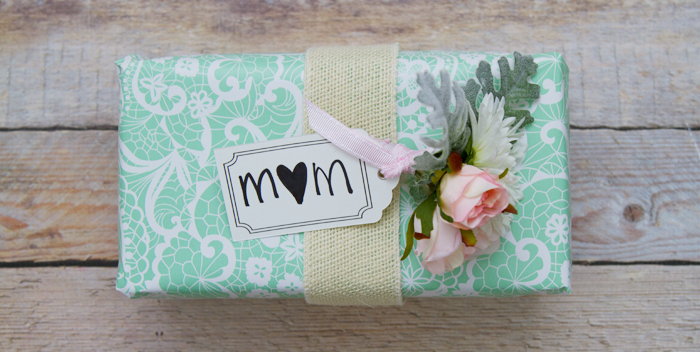 Here are some other gift-wrapping combinations to help inspire you. Also check out our Christmas wrapping ideas for some festive inspiration. 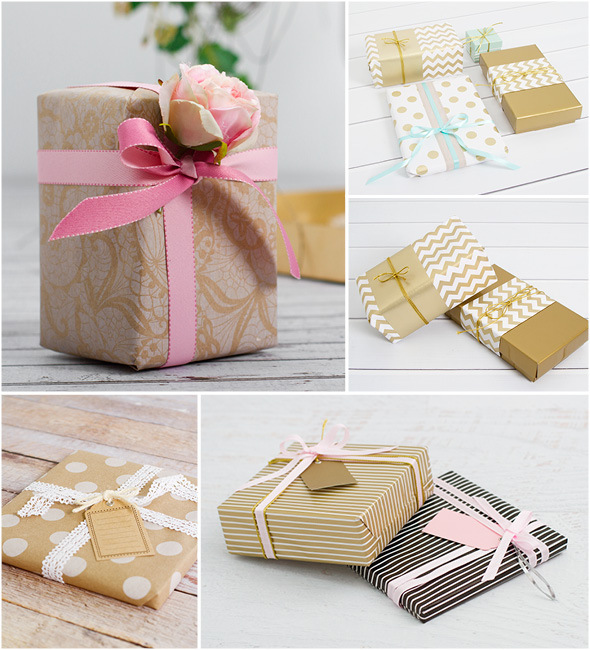 Get started here – shop ribbon and wrapping.